Ovum donation (OD) pregnancies are becoming increasingly common. Obstetric complications with IVF pregnancies are well documented. However, until recently OD had not previously been investigated as a separate subtype of this. It could be postulated that there may be more complications with OD pregnancies as the embryo is immunologically different to the mother. The subsequent allograft reactions can cause problems with placental development and function leading to pathology. Initial studies investigating OD pregnancies were inadequate due to small sample size and inappropriate control groups. Studies specifically comparing to spontaneous pregnancies alone are not suitable when we already know that IVF in itself increases the risk to both mother and baby. Recent research has optimised the control group by using women undergoing IVF with autologous ovum. Ovum donation has now been shown to be an independent risk factor for hypertensive disease in pregnancy, post-partum haemorrhage and increased risk of caesarean section. Neonatal outcomes are less clear-cut, although there is some evidence to suggest there is increased risk of small for gestational age babies and preterm delivery. It is now clear that OD pregnancies are higher risk than IVF pregnancies with autologous ovum and they should be treated as such. Women with ovum donation pregnancies should have obstetric-led care, in a unit which has ready access to both blood transfusion and cell salvage. Future research should investigate how to reduce the risk of ovum donation to these women. Amit Shah is a consultant in Reproductive Medicine and Surgery at Homerton University Hospital, London; Dr. Maryam Parisaei, FRCOG, is a Consultant Obstetrician at Homerton Hospital, London; Dr. Jessica Garner is a Speciality Trainee in Obstetrics and Gynecology at Homerton Hospital, London. Jeve YB, Potdar N, Opoku A, et al. 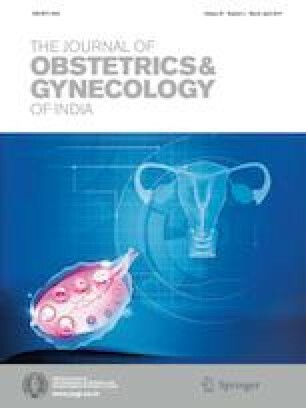 Donor oocyte conception and pregnancy complications; a systematic review and meta-analysis. BJOG [online] (2016). Accessed http://www.onlinelibrary.wiley.com/doi/10.1111/1471-0528.13910/abstract. Accessed 31 Aug 2018.